UCF Online is designed to serve prospective and current students enrolled exclusively in online programs by providing comprehensive, personalized services from initial inquiry through graduation. UCF Online provides access to students seeking an excellent education from a distance while also offering a more affordable degree option. Transfer and graduate students are eligible for UCF Online programs and majors if admitted or readmitted to UCF beginning with the Fall 2015 semester, provided the student has not enrolled in a campus-based class. First-time-in-college (FTIC) students are not eligible for UCF Online. Requests to opt-in or change major to UCF Online must be made no later than three business days in advance of classes starting for the fee waivers effective to be applied in that given term or term sub-session. For requests submitted after this deadline, the fee waivers will be effective starting the next term. Any student ineligible for UCF Online may still take online courses and complete UCF Online majors or programs, but will be subject to campus-based fees. Contact the UCF Online Connect Center for further information, or to appeal ineligibility for UCF Online. To major in a UCF Online program, students who meet the eligibility requirements may submit a change of major request through MyUCF self-service and they will then be contacted by the UCF Online Connect Center prior to approval of the change. Some majors may require the assistance of an academic advisor in your college. A change of major request must be submitted no later than three business days in advance of classes starting for the fee waivers effective to be applied in that given term or term sub-session. For requests submitted after this deadline, the fee waivers will be effective starting the next term. Contact the UCF Online Connect Center for further information, or to appeal ineligibility for UCF Online. UCF Online students may convert to a campus-based undergraduate major. However, those students may only again participate in a UCF Online major by becoming re-admitted. UCF Online students may change from one UCF Online major to another, and may declare and earn an online undergraduate certificate. A UCF Online student may not add a campus-based second major or earn a campus-based undergraduate certificate unless they change out of UCF Online completely. UCF Online graduate students may initiate a program track change within an online program with their graduate program advising staff. UCF Online students who wish to add an online certificate program, or change to an alternate online degree program, must apply and be accepted. Graduate students may not be simultaneously active in a UCF Online program and a campus-based program. Graduate students who meet UCF Online eligibility qualifications may change from a campus-based program to the equivalent UCF Online program. UCF Online students may convert to a campus-based version of their graduate program. However, those students become ineligible to again participate in a UCF Online plan without a new graduate program admission. Campus-based students may continue to take online courses and complete UCF Online programs, but will be subject to all campus-based fees. A UCF Online student may not add a campus-based graduate certificate program unless they change out of UCF Online completely. UCF Online graduate students in special tuition programs have additional restrictions on eligibility for other UCF programs. UCF Online students may not enroll in classes with scheduled face-to-face meetings. This includes classes coded P (face-to-face instruction) and M (mixed-mode/reduced seat time). When logged into the portal at my.ucf.edu, only online courses in the class schedule are visible to UCF Online students. See course modalities for more information on UCF course modalities and the types of online courses (W, V and RV) open to UCF Online students. UCF Online students in special tuition graduate programs have additional restrictions and may only enroll in UCF classes that are part of their program. Undergraduate students who do not qualify for Florida resident tuition receive a significant discount in their per credit-hour nonresident fee. All UCF student tuition and fees are available at UCF’s Office of Institutional Knowledge Management. See Tuition and Fees for a summary of UCF Online fee savings. UCF Online students are not required to submit proof of immunizations. However, all students must submit the Mandatory Immunization Health History form along with the completed waivers for Meningitis and Hepatitis B. Students who change out of UCF Online into a campus-based program or major become subject to the required proof of immunizations in order to enroll in additional classes. Some UCF Online programs, such as those with field clinical requirements, may require proof of immunization. Certain services from the Student Government Association and the Office of Student Involvement. Contact UCF Student Government Association or the Office of Student Involvement for more information. UCF Online programs are open to students who reside outside of the U.S. No presence or travel to the UCF campus is required to complete the programs, so no visa is required. 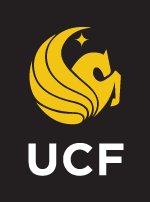 International students who are residing with F-1 visas are not eligible for UCF Online programs due to their campus class attendance requirements. UCF Online graduate students are not eligible for graduate assistantships or graduate teaching assistantships. UCF Online students are not eligible for on-campus student housing.